MILWAUKEE, Wis. (Milwaukee Journal Sentinel, photo by Gary D’Amato) — Will Kellerman played in just two games for MATC’s men’s basketball team before he died in a rollover crash near Madison in November, just hours after he’d scored a game-high 23 points in a loss to Rochester Community and Technical College. Two games. A couple dozen practices. That was it. Given his short time in the program, his legacy and its impact on student-athletes at MATC — now and in the future — is nothing short of amazing. Because of Kellerman, because of the foundation that was launched in his name, the men’s and women’s basketball programs are about to move from Division III to Division II of the National Junior College Athletic Association. That means for the first time in his 10 years as men’s head coach, Randy Casey will be able to offer scholarships to players. 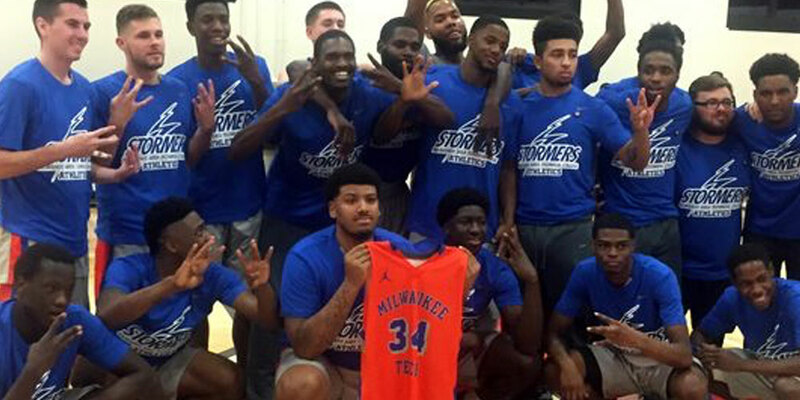 For the first time, the Stormers have a chance to make up ground on perennial North Central Community College Conference power Triton College, which won the NJCAA Division II national championship this year.